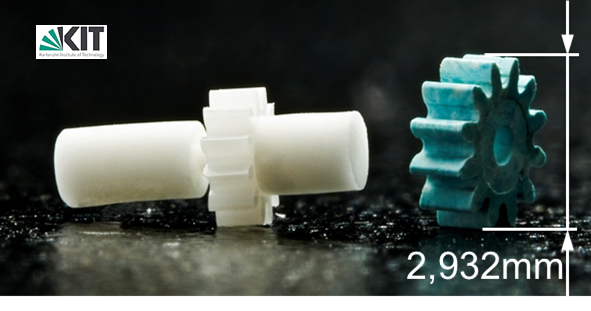 Injection moulding allows the high economic mass fabrication of complex-shaped nano and micro components. 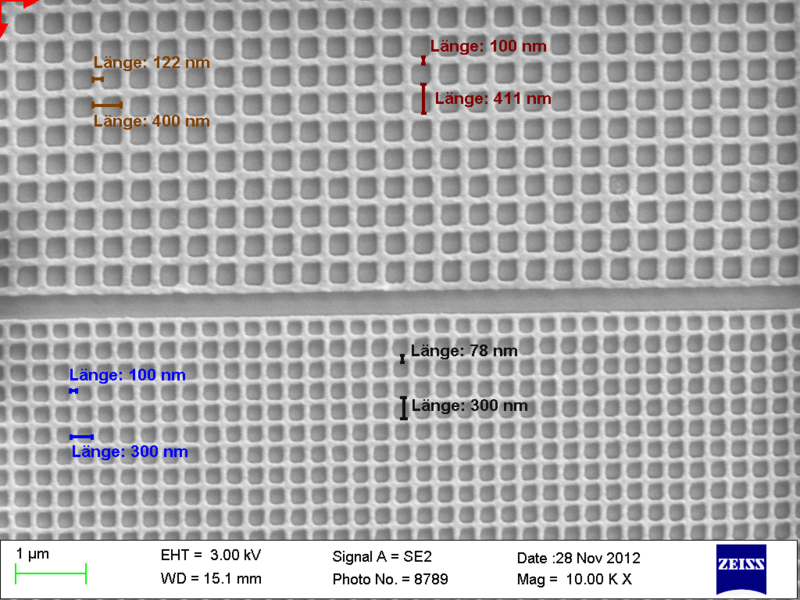 These can be singular items or large bodies with nano- or microstructures on the surface, respectively. In both cases very high geometric accuracies and smallest tolerances can be achieved using e.g. LIGA-fabricated mould inserts. 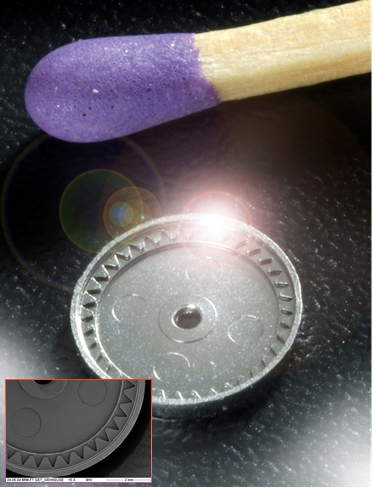 Besides the replication of polymers powder injection moulding (MicroPIM) allows for the micro fabrication of components made of a large variety of metals or ceramics. Having reached a reliable status, two-component injection moulding and inmould-labelling reveal strong advantages with respect to reduced mounting expenditures and the capability to produce multi-functional devices. Fig. 1: Smallest puzzle of the world whose pieces have been made of PMMA using singular LIGA mould inserts. Fig. 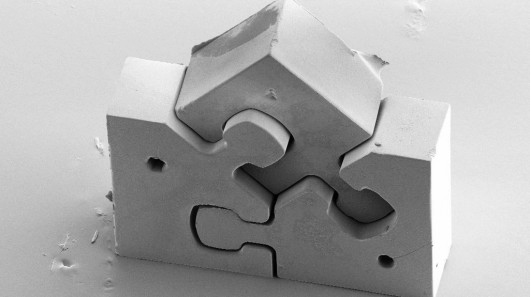 2: SEM figure of polymer part (PMMA) with nano-sized structures made by injection moulding. (Länge ≙ length). Fig. 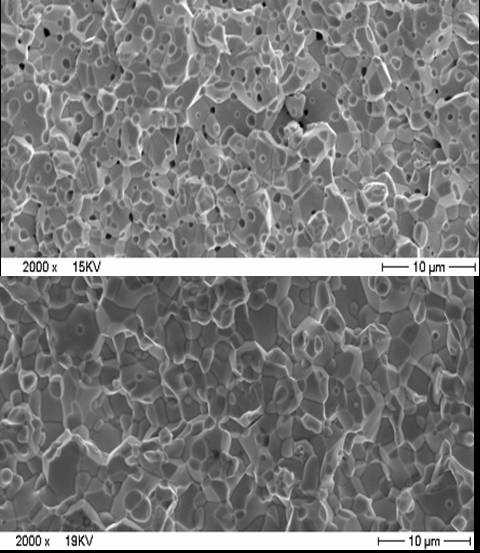 3: SEM-picture of pure tungsten after sintering (above), the same material after additional HIP densification showing significantly reduced porosity (below). Fig. 4: Gear wheel/shaft sample made by two-component injection moulding of alumina (shaft) and zirconia ceramic (gear wheel). Combined sintered part (left) and green body (right). Fig. 5: Ring gear of planetary gear set, 1.4542.